With just a few coats of a pretty new hue you can completely revamp your space. 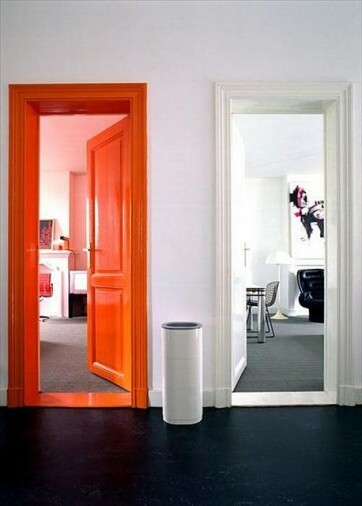 Easier said than done because I know how often your mind can be changed when it comes to making a paint color decision! It’s the never ending battle of do I or don’t I? You see something you like on Pinterest, or maybe even something your fave designer (ah-hem) has done and decide that this is it. You’ve finally made up your mind, 100% confident and not turning back. You head down to your local paint store, pick up a sample and then…..chicken out. And guess what, that’s OK! Because sometimes you just need some time to process this life changing decision (clearly jk). Rest assured that your original idea is probably what you should follow through with. Or, a version of that idea at least. My rule of thumb is to always go with your first instincts. Because 1) That is what you are really drawn to. And 2) You will always wonder what it would have looked like. And you don’t need those kinds of thoughts filling your brain on the daily, you’ve got other important things to think about. SO, I’m here to tell you, O’ brave one, that just going for it with a bold new paint color is worth the risk and if you don’t believe me, here are 10 examples to prove it. From painted floors, bright walls, a pink ceiling, ombre style and bright moulding & baseboards (see another super-duper example here) these rooms will show you that a little bold paint can go a long way. Wondering which paint brand to use? While we use a few different sources, my favorite and go-t0 is Ecos Paints. Because whether I’m designing a nursery, kids room or your family room, the healthiest and safest choice is the Eco-Friendly, non-toxic line of paint from Ecos. Want to be featured on The RM Report? Send me your completed paint projects and I’ll share with our readers!